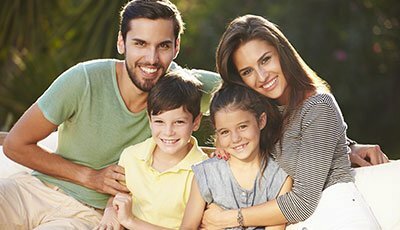 By accepting dental insurance, Bartlesville dentist Dr. Luke Lumpkin makes caring for all the smiles in your family more affordable. Our front office staff is adept at processing and filing dental insurance claim forms so you know that you will be receiving the maximum in benefits for any covered service. Day in and day out, we work with a variety of dental insurance carriers so we can help you understand the details of your plan. If you have any questions about your dental insurance or the treatment plan Dr. Lumpkin has developed for you, please call our office. We’ll be glad to help. A dentist that is in-network on your benefits plan has contractually agreed to pre-set fees for covered services. An out-of-network provider has no such agreement but will still likely take care of processing and filing insurance claims. He or she may even be willing to negotiate fees to make sure you are receiving the maximum coverage for the treatment you or a family members needs to maintain a healthy smile. 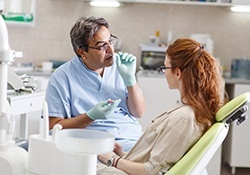 Dentistry by Design is an in-network provider for Delta Dental, and we’re also happy to accept most major insurance plans. Our team members are well versed in the latest coverage trends, and we’ll personally file claims on your behalf to maximize your available benefits and expedite their delivery. We do ask that you pay the estimated co-pay at the time of your visit. The best way to get the most out of your dental insurance is to use all of your benefits! You can do this by sticking to a schedule of twice-yearly dental checkups where we will clean your teeth and examine all aspects of your oral health. Most dental plans cover these visits between 80 to 100 percent. If Dr. Lumpkin should find a concern that requires restorative care, this procedure will be covered at 50 to 80 percent. 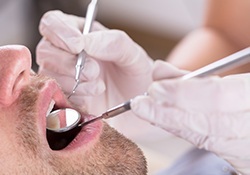 Cosmetic dentistry treatments are typically not covered by insurance. If you have any questions about your dental insurance or your oral health, please call the office today.